The relationship between church and party-state in post-war eastern Europe was complex and sometimes violent. 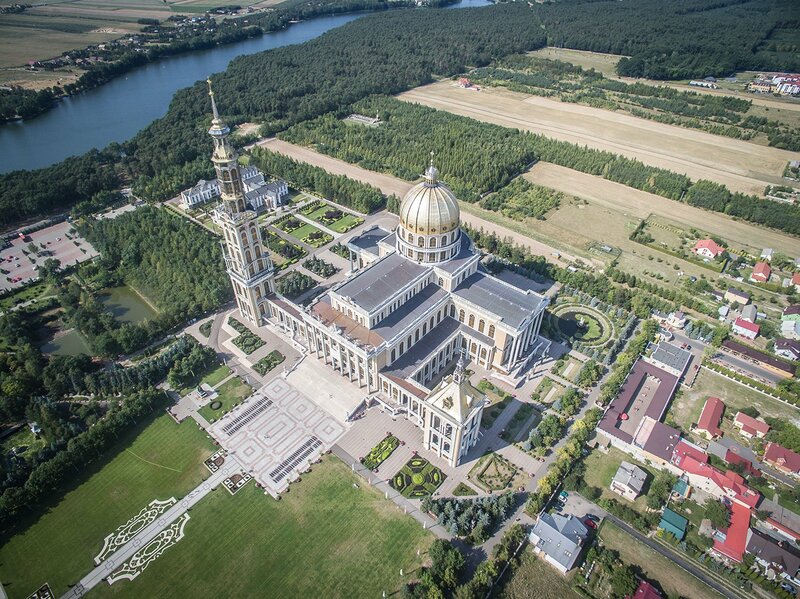 Governments from Sofia to Moscow had to contend with the tension between popular, deeply-held religious sentiment – Christian, Muslim, Jewish, Buddhist, tribal – and explicitly atheist political authority. 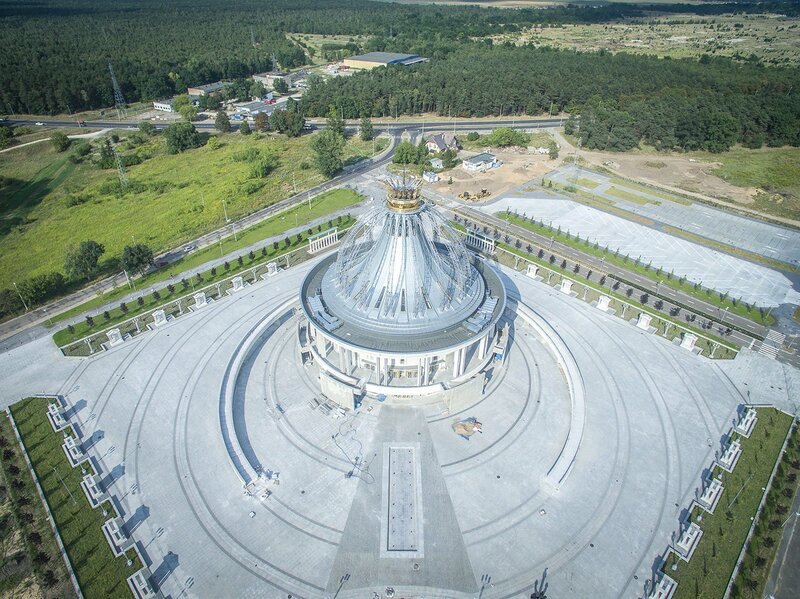 With many of its urban areas devastated by the Second World War, Communist Poland embarked on a national program of construction and reconstruction; when this project intersected with popular loyalty to the Catholic Church, a strange new architecture emerged, caught in an unclear zone between official and illicit, political protest and spirituality. 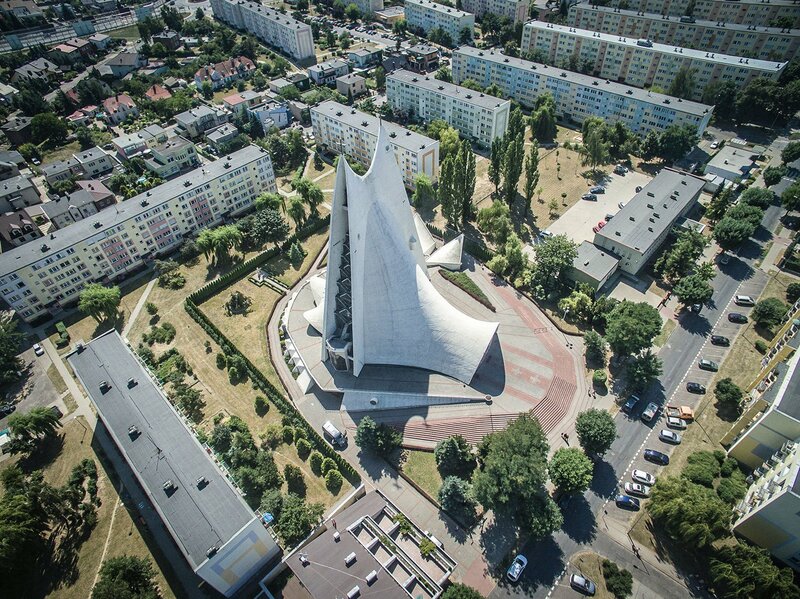 Architecture of the Seventh Day, a new project by Polish researchers Kuba Snopek, Izabela Cichońska and Karolina Popera, which will be featured in Calvert 22’s Power and Architecture season, explores the history of the extraordinary wave of church-building that occurred in post-war Poland. 3,587 churches were constructed within the nominally atheist state, in urban, suburban and rural areas alike. 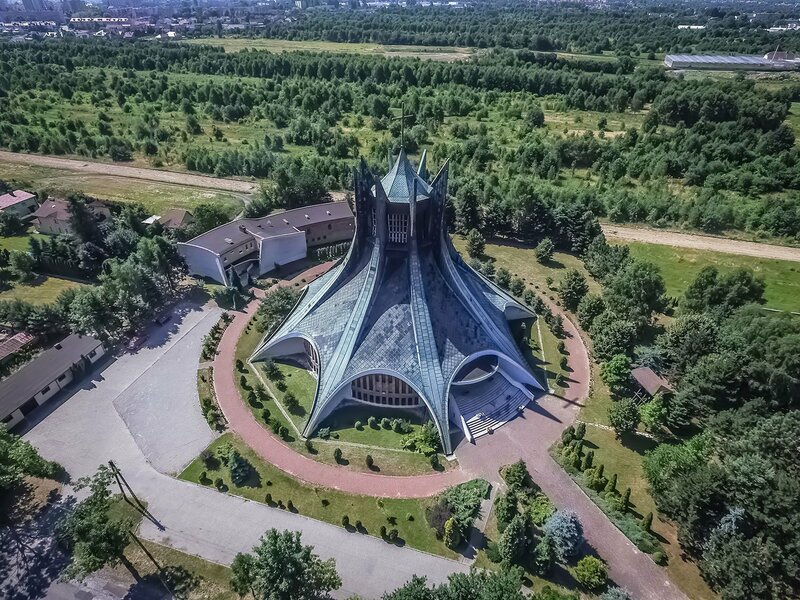 When church-building became intertwined with the Solidarity-led protests against the regime in the 1980s, the average rate increased to a remarkable one church every three days. All of this was done without the assistance of state institutions: parishioners-to-be had to gather materials, furnish designs, organise labour and supervise construction themselves. 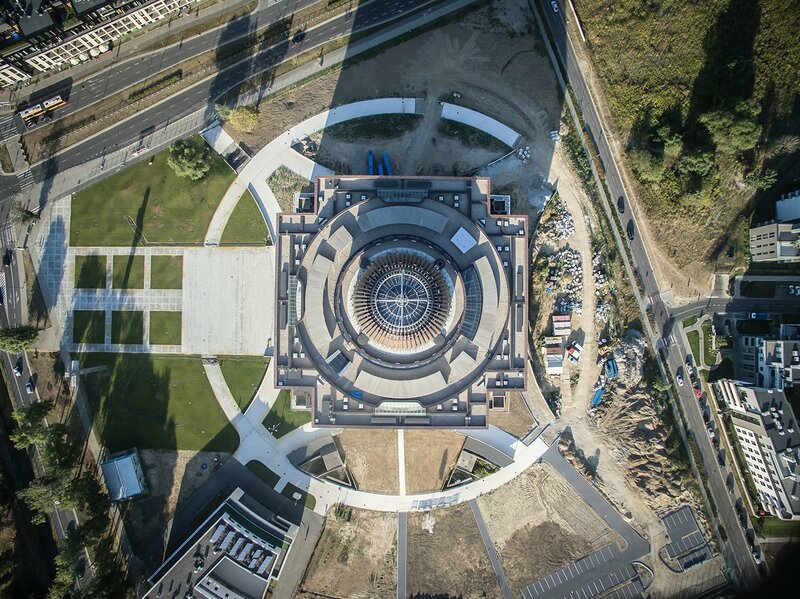 This was bottom-up, DIY architecture on a grand scale. 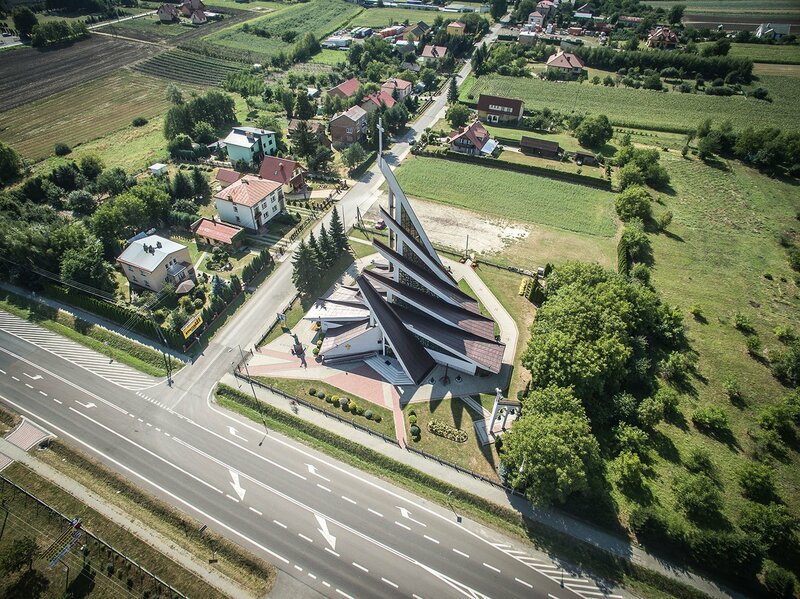 Izabela Cichońska tells me that the project began as a response to a question posed by Dutch star-chitect Rem Koolhaas at the Venice Biennale in 2014: how was modern architecture absorbed into national and ethnic styles? 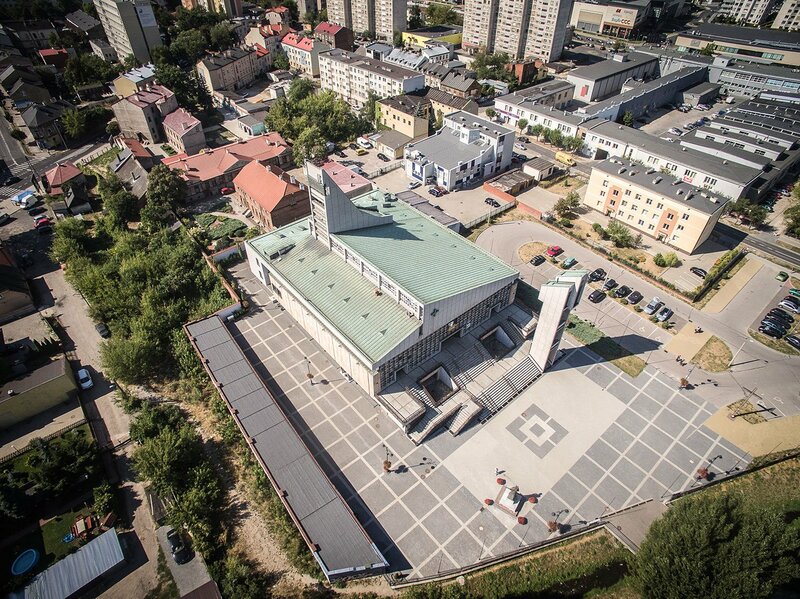 For Poland, it was these grassroots churches that provided an answer. Rather than focusing on the question of belief, she and her colleagues looked at the material history of the buildings. “We gathered a lot of information,” she says: “the number of parishioners belonging to each church and their date of construction”. 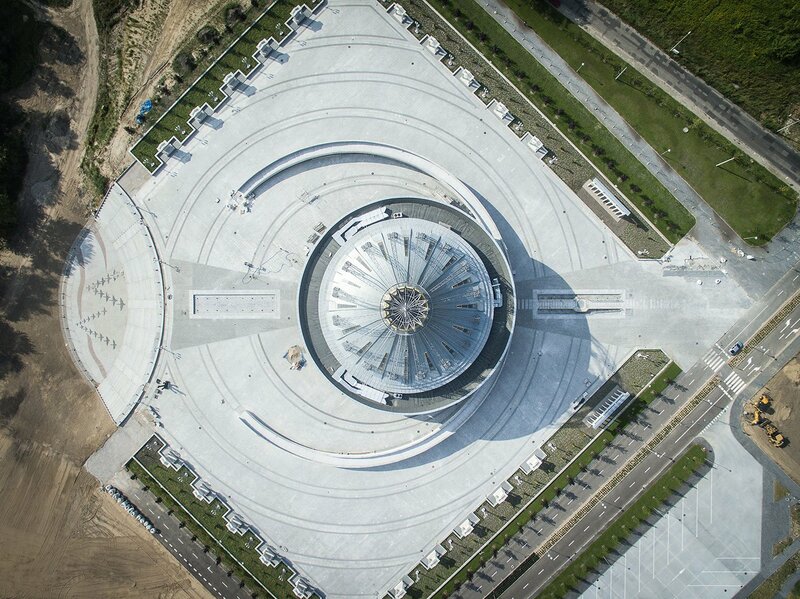 As for the architects, it was “like the Middle Ages, in that we didn’t know which architects designed which church, or anything about them. It’s hard to find these architects, even those from the 70s and 80s. 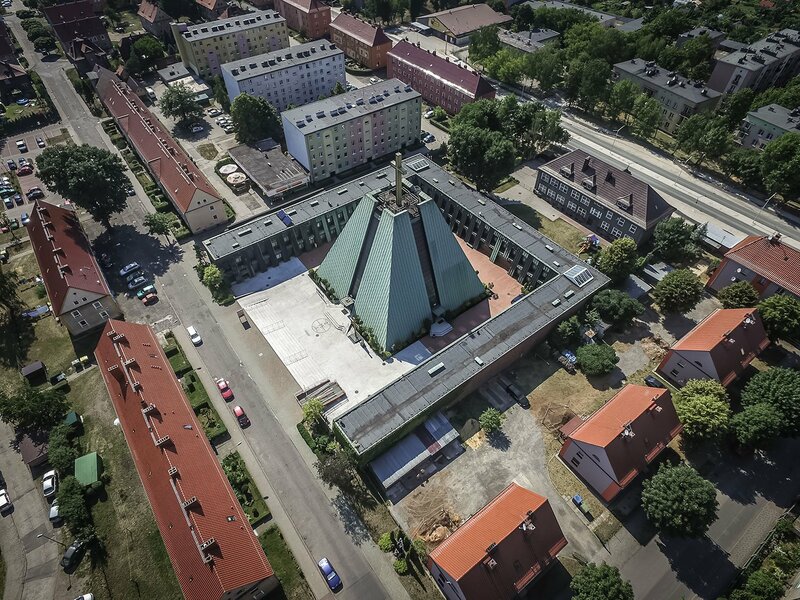 They are not the heroes of this architecture.” The majority of the churches documented were built after 1976, with a huge boom in the 1980s. Difficulties with authorities dragged out the process, explaining why the crest of the church-building wave spanned 20 years. There were several distinct stages to the DIY church movement. In the 1950s, pre-existing churches damaged in the war were repaired as part of national reconstruction schemes; however, the strictly Stalinist government of the time would not allow for new religious sites. 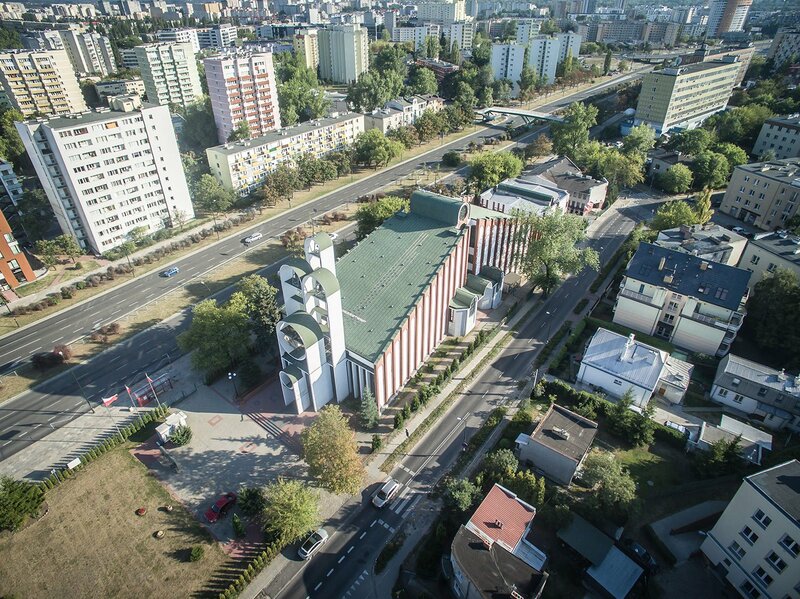 As people began in the 1960s to move into rebuilt cities and new social housing projects, they began, in Cichońska’s words, to “want more — to want a place of worship”. Whilst still unwilling, the state began to at least entertain requests that land be given over to religious construction. The wave was beginning to grow. When the laws regarding urban planning were altered slightly in the 1970s — the state was fearful of strikes and moved to loosen certain restrictions — the wave became unmanageable. 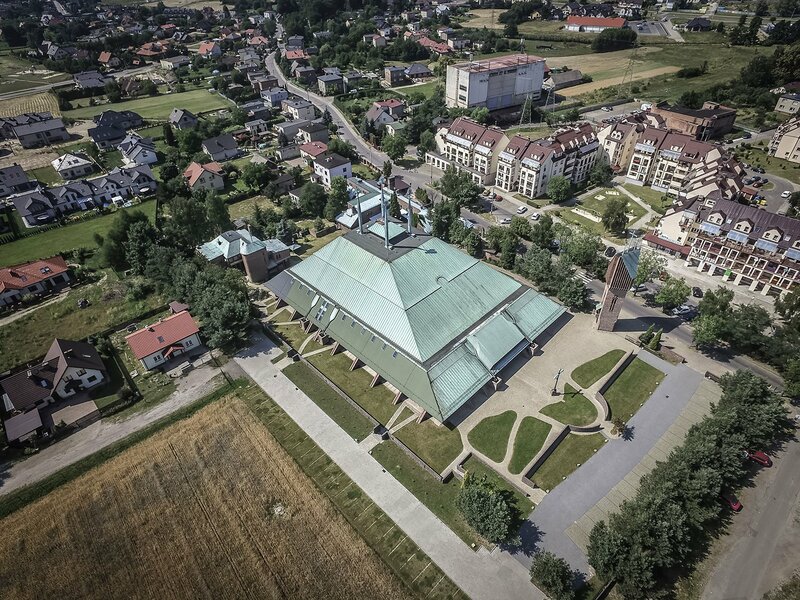 “Churches from the 70s and 80s are the most interesting in terms both of their architectures and their stories,” says Cichońska. The state monopoly on building materials meant people had to get creative. Workers would steal items from the factories where they worked, or from local storehouses; residents would take advantage of concessions that allowed for the purchase of small quantities of materials for home repairs to gather a few hundred bricks at a time. 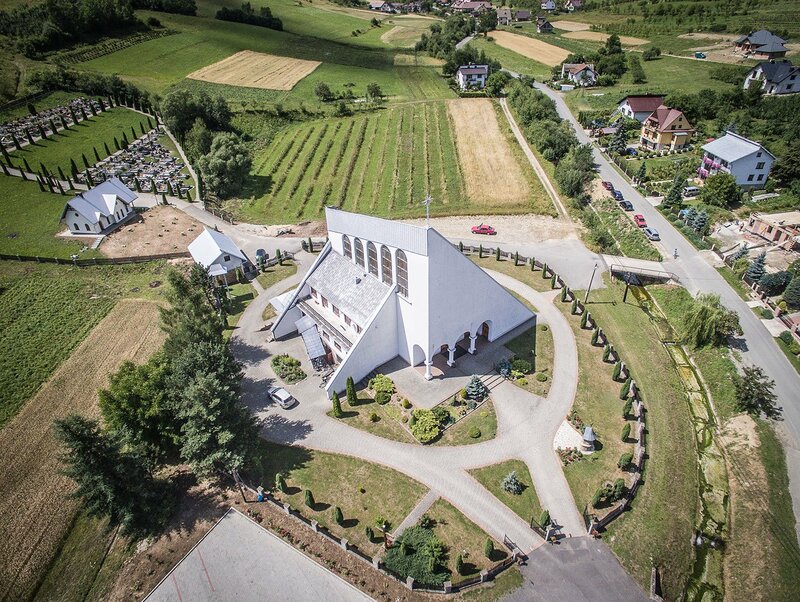 One odd legal loophole stated that a structure completed within 24 hours would be allowed to stand: communities could stockpile supplies and then try and erect a basic roofed frame overnight that would later be expanded into a place of worship. In some villages a church would be secretly built inside a barn, whose walls were then torn down to reveal the architectural oddity within. 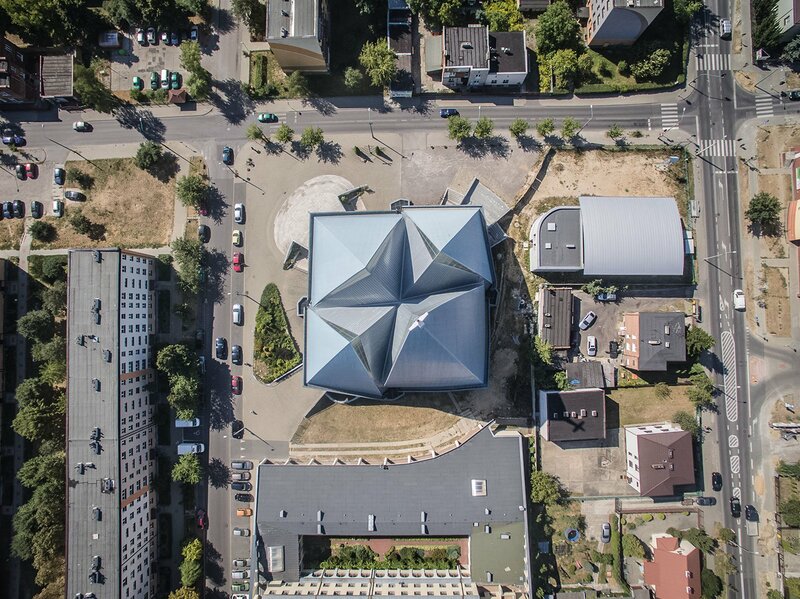 In their work, Cichońska, Snopek and Popera stress that these sorts of restrictions necessitated truly collective planning and execution, and a rethinking of the traditional division of labour in architecture. 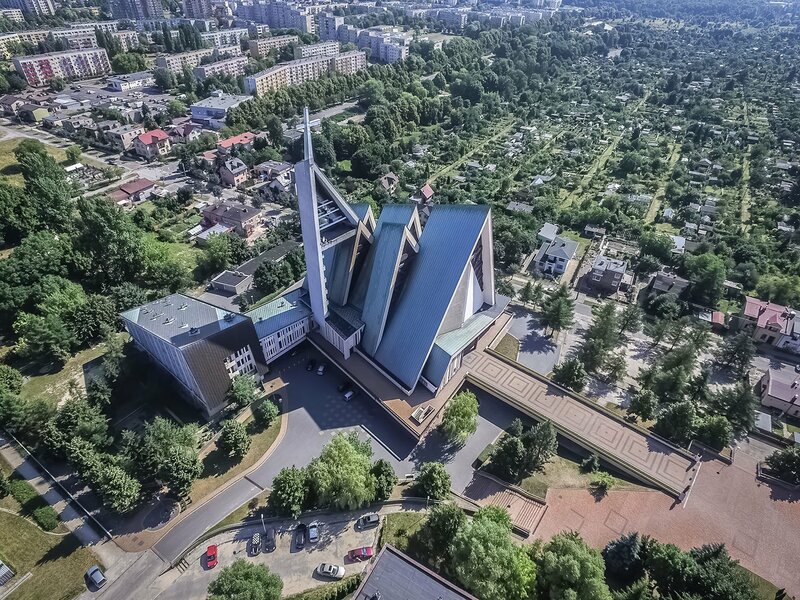 “There are three factors in building these churches, like a triangle: the priest organises the money and the process; the architect designs the project. 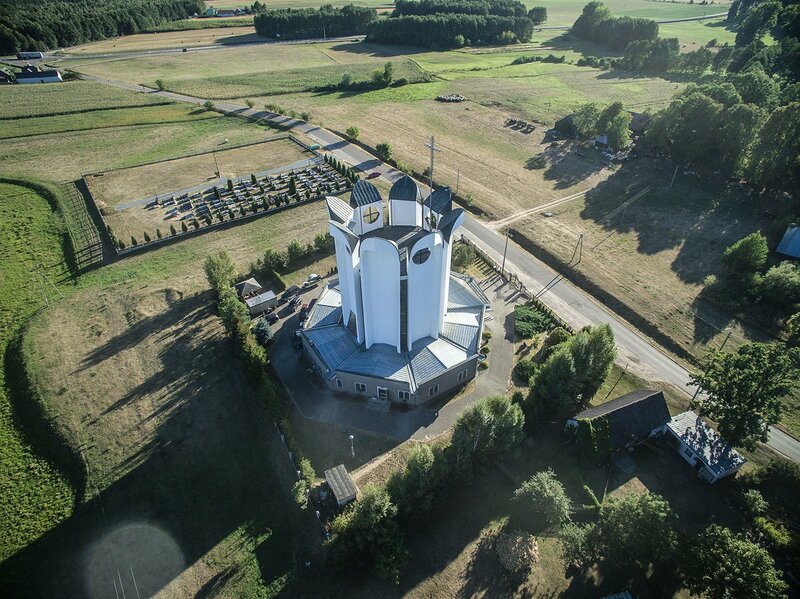 Then there’s the community, which might be used as a labour force to build the church, or as a network to acquire what’s needed.” This meant that avant-garde designs might be realised by elderly masons using pre-war techniques; sometimes the architect was relegated to insignificance and a group of up to several thousand volunteers would control proceedings. Was this about sincere spiritual conviction, or a way of expressing discontent with the regime? 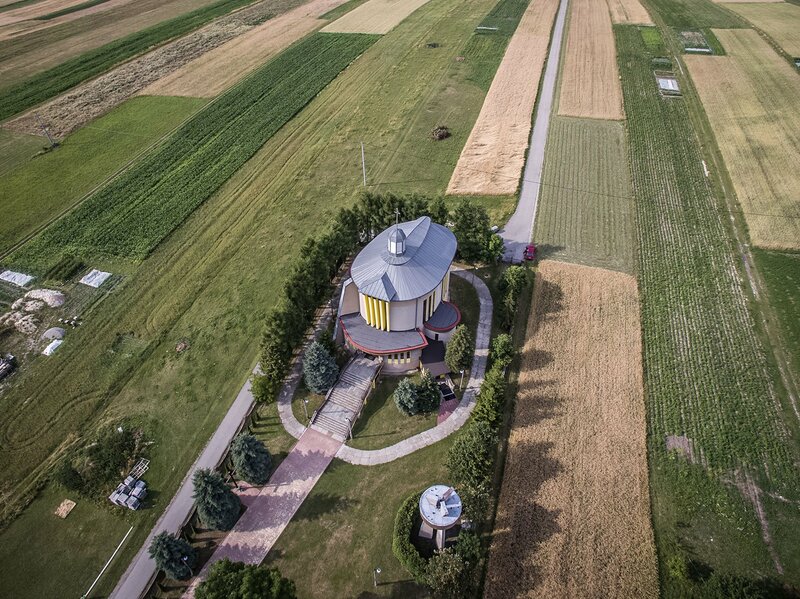 About a decade after the fall of communism, the church-building wave came to an end. 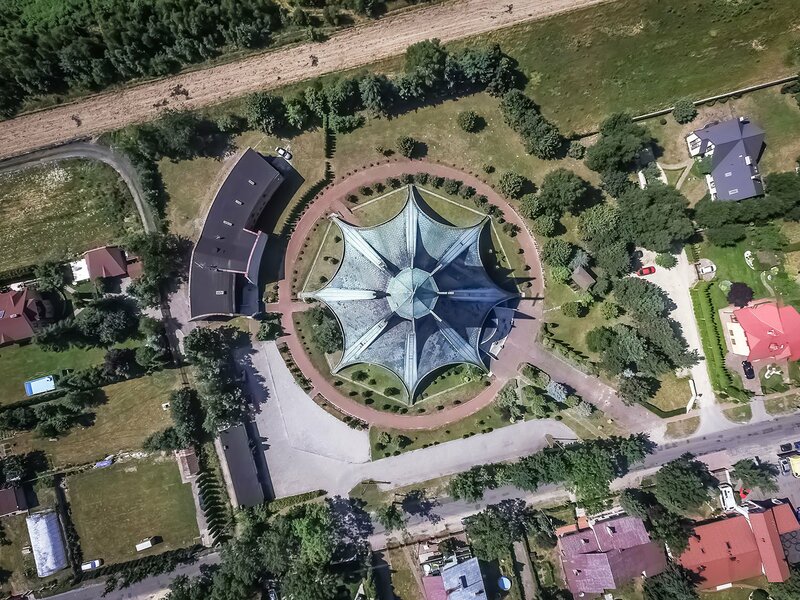 Now it is possible, as Cichońska and her colleagues do, to look back on Poland’s DIY Catholicism and ask what it all meant. Was this about sincere spiritual conviction, or a way of expressing discontent with the regime? 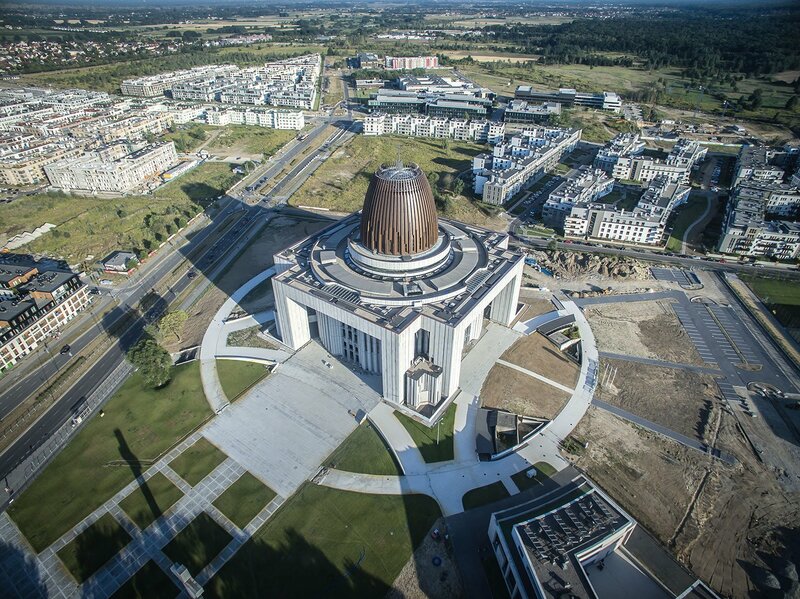 What do these churches signify now, under the ultra-conservative, ultra-nationalist Law and Justice (PiS) government of Andrzej Duda? A hardening of the cultural role of Catholicism will not, however, diminish the collective legacy of the grassroots church. 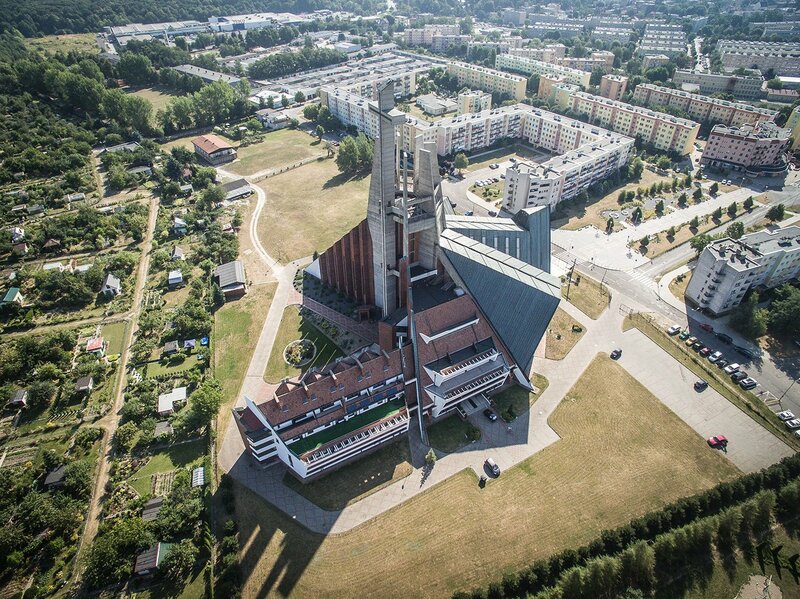 To build in the post-socialist world means to face many of the problems that confronted the ordinary Poles who set about erecting these strange, often wonderful structures. 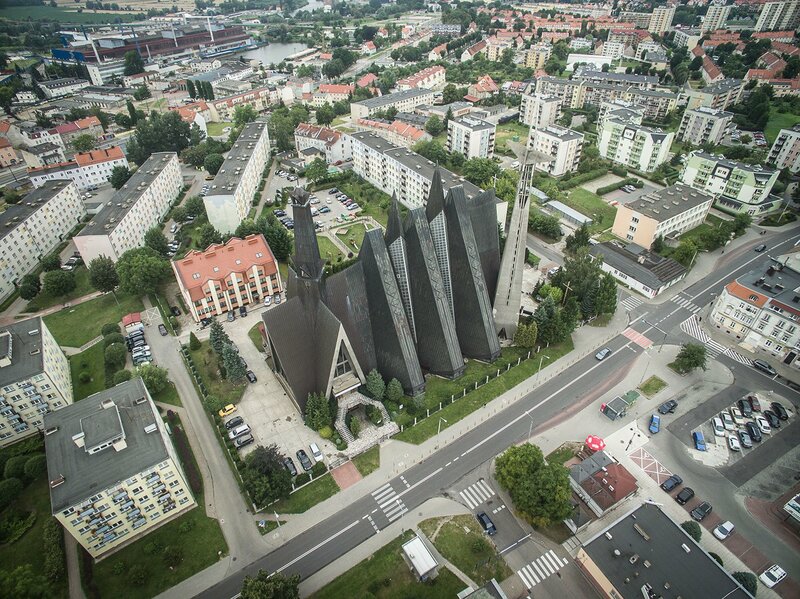 “For us this makes this architecture contemporary,” Cichońska concludes. “It deals with a very contemporary problem: how to involve people in the creation of architecture, how to delegate tasks, how to simplify processes, how to make community-based work viable. What would have happened if our parents had had access to the networks and technology that we have today when they were trying to realise these projects?” Frankly, the mind boggles.